We’ve published multiple blogs in the last few weeks on virtual staging. Virtual staging is this day and age’s way of home staging properties for sale. While in the past, real estate agents had to spend money to stage homes, companies selling virtual staging software have knocked away that requirement. Nowadays, real estate agents must only choose the virtual staging software they prefer the most. They can then get to work setting up their homes for sale. They can add the furniture they like, the small touches that makes the home stand out, anything they want that gives potential buyers an incentive to call for an appointment. It’s saving real estate agents tons of money. Virtual staging is here to stay, and it’s definitely worth doing if you’re a real estate agent. Although that’s true, virtually staging a home does no good if there’s no home to stage. The main goal of finding leads and converting those leads into possible home sales remains. 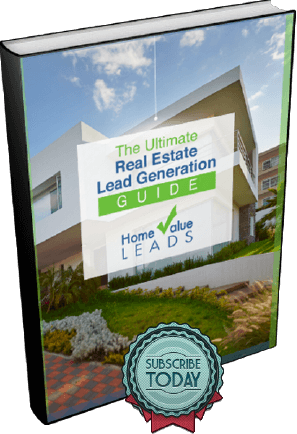 One of the ways real estate agents can find leads is to use Home Value Lead’s Facebook Advertising process as well as the HVL CRM. But, that’s not the only way. In these series of blogs, we’re going to discuss one of the tried and true methods of finding leads. The method, door knocking, isn’t nearly as popular now as it was in the past. Many real estate agents don’t even consider it a real way to generate leads. Those real estate agents are wrong. It’s not only a great way to generate leads, it can also be a way to build your real estate brand in person. Before getting into the nuts and bolts of door knocking, though, it’s important to create a door knocking location strategy. Check out this door knocking location strategy that’s sure to start you on the path to door knocking success! Door Knocking Research: How to Know Where to Knock? Every door knocking location strategy listed here requires research. As an overall piece of advice, the most successful real estate agents are also great at research. Research determines where to find homes to sell, at what price to sell homes, and even where to find potential buyers. Good research is the basis for all great marketing. As a real estate agent, you’re also a marketer. Get good at research! Places like La Canada near Los Angeles, or Friendswood or Katy near Houston, not only have great school districts but also have the most expensive homes. The reason is because people who can afford to purchase or rent expensive homes also support the schools that their children attend. That’s just common sense. Homes in great school districts are often handed down from parent to child. Believe it or not, some home owners might just be renting, or they might be living in the home because they don’t know exactly what to do with it. Legacy owners are more prone to sell. One legacy owner we know of had to move his mother-in-law from Glendale, CA to San Diego, where he and his wife lived. He took over the mother-in-law’s home after moving her out and then went about the process of fixing up the home for sale. It still took him a while to sell the home because at first, he didn’t know what real estate agent to contact. Think what would have happened if you had gone door knocking on this person’s home while he was there contemplating the best way to sell it? He’d have signed with you! Good school districts aren’t created overnight. It often takes years, sometimes, decades for a school district to be labeled good or great. Senior citizens and retirees own many of these homes. Many of them are widowed or single and many of them are ready to sell. Just like legacy home owners, retiree home owners often want the profits of a home sale more than the home itself. Families with children put great school district at the top of their list for purchasing a home. If an owner who has a home in a great school district wants to sell, there will be no shortage of buyers. Selling history is an important aspect of a door knocking location strategy. There are two-sides to looking at selling history, though. The first is all positive. If the home has sold before for a premium, it most likely will sell for a premium again. That’s good news to a motivated real estate agent and a motivated home owner. The downside is that if a home churns too much, if it’s sold over and over again, it could be hard to get a real idea of its value. Not only that, you could find it difficult to sell the home for a premium again if it just sold for a premium. So, use this method to canvass neighborhoods for door knocking. Just know that it might not be as effective as the school district method. This is an easy one. The higher the home values, the more real estate agents and home owners make when they sell the home. It’s also extremely effective. However, it’s also a strategy that most real estate agents utilize when they decide to go door knocking. Real estate agents like you should definitely use this strategy. You could decide to use this strategy along with the school district strategy. Or, you could use this strategy to canvass a neighborhood for a month with no regards to the school district strategy and then switch it up with the school district strategy the next month. No matter what, make sure to find out the home values of the neighborhoods where you’re trying to find leads. It doesn’t matter if you go door knocking or not. You must know the median price and specific prices for homes in any neighborhood where you wish to generate leads. Intangibles are huge. Are the homes near a fire department, police station, YMCA? Are the homes situated near small businesses or a corporate business park? Will the homes attract too much foot traffic? Intangibles are massive. Also, it’s great when homes are near walking areas like parks and streets with multiple businesses. Homes within walking distance of Honolulu Ave. in Montrose, CA are worth more than homes far away from a street where families can walk, have lunch, purchase a few items, and have a great day without having to drive anywhere. Thinking of neighborhood intangibles when creating your door knocking strategy can go a long way to finding the right neighborhood to knock on doors. Definitely research the best school districts around your area and always find the median price and individual price for homes in the neighborhood no matter if you go door knocking or not.